Offering scenic recreational trails, historic towns, and expansive outdoor spaces, Southwest Virginia is loaded with options for adventurous families. From scenic hikes and strenuous climbs to relaxing time on the water and cultural experiences, this corner of the state has something for everyone to enjoy. These are just a few of the must-dos for families visiting one of the most stunning parts of Virginia. Swimmable lakes are preciously scarce in much of Virginia. Fortunately, the southwest corner of the Old Dominion state offers both sandy beachfront and enticingly placid waters. Hungry Mother State Park, just outside the town of Marion, boasts a plunge-worthy 108-acre lake with plenty of paddling access, 17 miles of trails, rustic campsites, and cabins available for rent. In the Mount Rogers National Recreation Area, the Beartree Recreation Area is bedecked with a 14-acre lake, circled by the 0.8-mile Beartree Lake Trail, the perfect way for budding hikers to warm-up for a swim in mountain waters. 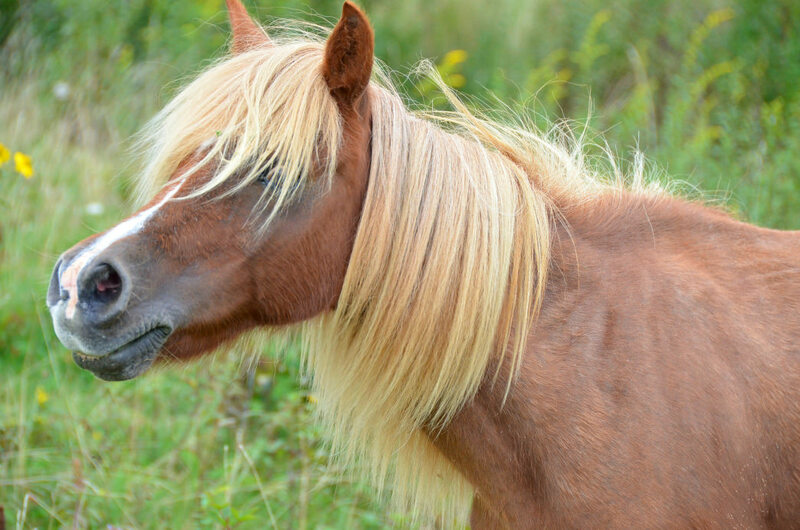 Arguably, Southwest Virginia’s most famous residents are the wild ponies wandering the high country of the Mount Rogers National Recreation Area and Grayson Highlands State Park—including a now famous steed dubbed Fabio for his healthy golden mane. Now managed by the Wilbur Ridge Pony Association, the animals were introduced to the park in 1974 to graze the mountain meadows and thwart reforestation of the area’s bald summits. Although still wild, the ponies are hardly shy. At Grayson Highlands State Park, the 0.5-mile Rhododendron Trail (easily accessible from the parking area at Massie Gap), offers hikers a good chance to catch a glimpse of the roving equines—and the trail is short is enough for even the shortest legs to tackle. Ditch the devices and unplug for the night with an old fashioned family campout. Head for secluded spots like the Stony Fork Campground in the Mount Rogers National Recreation Area, which offers access to the trout-filled waters of the East Fork of Stony Fork Creek. The camping area also has access to one-mile interpretive forest trail, ideal for young hikers. Rather have more amenities? Head for the Hickory Ridge Campground at Grayson Highlands State Park. The family-camping area has an adjacent playground for young campers with energy to burn, and is located conveniently close to The Country Store, which offers snacks and other camping essentials. Possibly the best way to soak up Southwest Virginia’s sylvan scenery is with a float trip—and there are several options for family-friendly river runs. The North Fork of the Holston River is a slow-moving Class I and II waterway fringed with blooming bluebells in spring and early summer. Adventure Mendota, located about 25 miles from Abingdon, rents kayaks and offers shuttle services for float trips. Southwest Virginia is also home to one of the most biologically diverse rivers in America—the Clinch, which boasts more than 50 different species of freshwater mussels. There are several access sites for paddlers dotting the waterway, and Clinch River Adventures in St. Paul can outfit paddling trips. For equestrians, Virginia is literally loaded with trails—but the mountain-laden corner of the state is extra special. A network of bridle paths provide riders access to some of Southwest Virginia’s most stunning high country, including 200 miles of equestrian trails in the Mount Rogers National Recreation Area, the 68-mile Virginia Highlands Horse Trail, and nearly 10 miles of riding trails in Grayson Highlands State Park (with overnight facilities for campers with horses). Equestrian-friendly campgrounds—like the waterside Fox Creek Horse Camp and the remote Hussy Mountain Horse Campground—also dot the 200,000-acre Mount Rogers National Recreation Area, allowing seasoned riders to plan extended horse-packing adventures. First time in the saddle? Southwest Virginia is also the ideal place for newbies to get a taste of trail riding. Appalachian Mountain Horseback Riding Adventures in Troutdale arranges guided outings for riders of all skills levels, from two-hour excursions to full day trips. Abingdon, Virginia, is home to one of the country’s longest-operating theatres—a venue that sprang from unlikely beginnings. Opening in 1933, the Barter Theatre was the brainchild of actor Robert Porterfield, a Southwest Virginia native who returned home because of the Great Depression and conceived of opening a theatre in which patrons could use locally grown produce to pay for admission to performances. The venue has since showcased iconic performers like Gregory Peck, Patricia Neal, and Kevin Spacey. 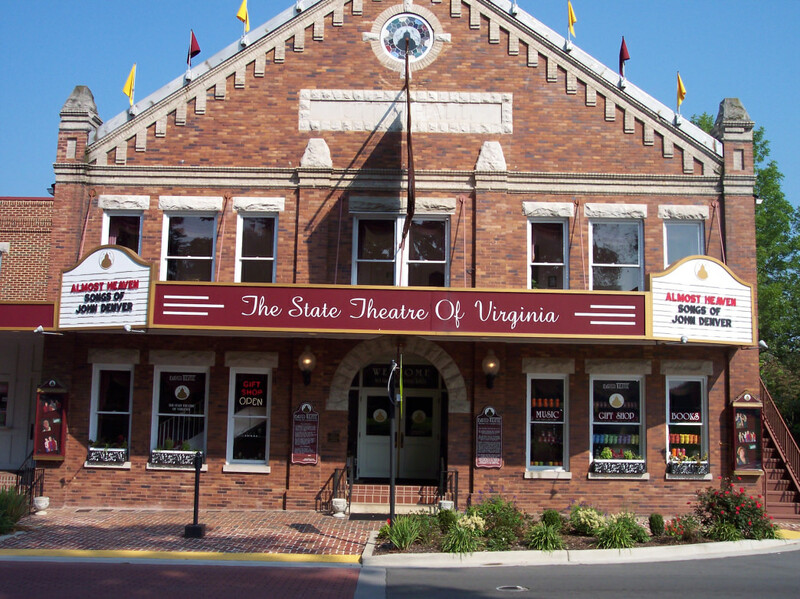 Today the Barter Theatre offers an array of weekly performances at both the Gilliam Stage at the Barter Theatre in downtown Abingdon and across the street at the Barter II. Once a rail line charged with hauling freight and passengers through mountainous Southwest Virginia and into North Carolina, the route of the Norfolk & Western Railway has been transformed into a nationally recognized rail trail, delighting everyone from cyclists to equestrians. The Virginia Creeper Trail runs 34.3-miles from historic Abingdon to Whitetop Station, near the North Carolina border. The famously trail-friendly town of Damascus serves as the mid-point for the recreational thoroughfare. Punctuated with leafy picnic spots, points of interest like Green Cove Station, and nine different trailheads, the Virginia Creeper also makes for a family-friendly ride for bicyclists of all skill levels. Best of all for reluctant riders, the 17 miles from Whitetop Station to Damascus is almost entirely downhill. Outfitters like Adventure Damascus Bicycle and Outdoor Company in Damascus and the Virginia Creeper Trail Bike Shop in Abingdon can arrange both bike rentals and trail shuttles. Southwest Virginia is regularly heralded as the birthplace of country music—and rightfully so. The region is home to legends like the Carter family, dubbed the "First Family of Country Music." The family-friendly (alcohol-free) Carter Family Fold, a music center in Hiltons, Virginia, preserves the legacy of the Carter Family and offers weekly performances on Saturday nights. 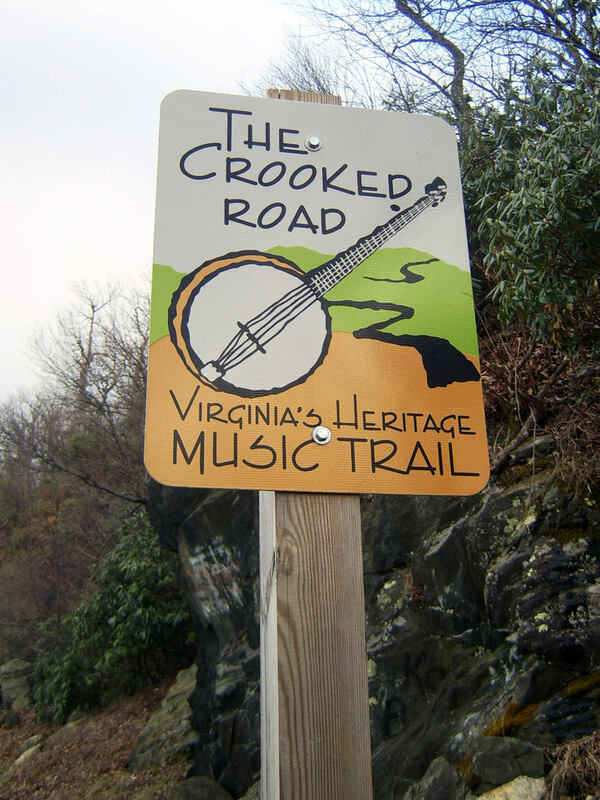 Or take a road-trip showcasing Southwest Virginia’s musical heritage on the Crooked Road Music Trail, a 330-mile driving route connecting local artists, exhibits, and performing venues like the Heartwood in Abingdon, which serves up BBQ and offers live shows on Thursday nights.